Jan made the dessert for our Fourth of July weekend dinner. It of course had to be patriotically themed, but the recipes in the newspaper were all full of sugar. The kids are on the Atkins diet so sugar. 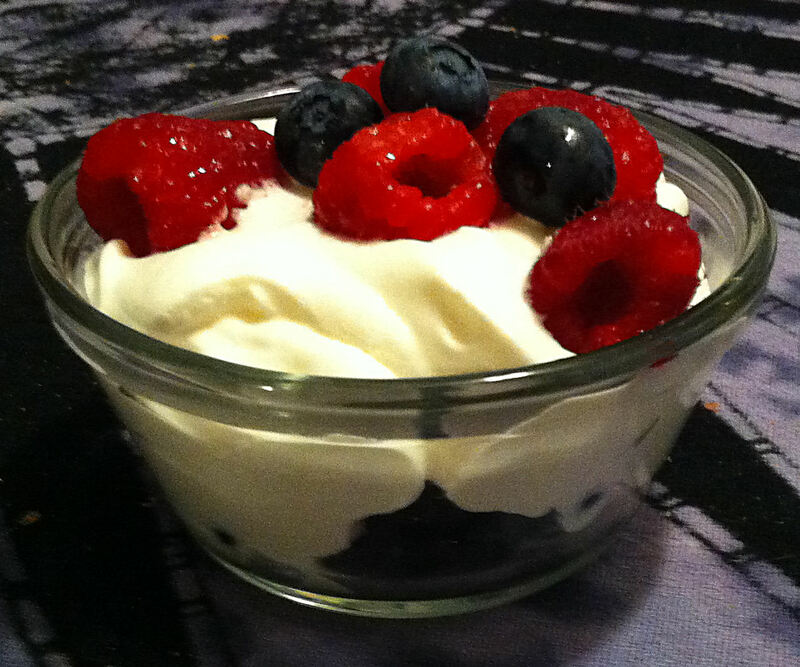 The berries themselves are suspect, but she did not have to add extra sugar the whipped cream. For me, Claudia’s Chocolate Mousse is the mousse by which all others are judged. It is however, not a health food. It has replaced cakes as the birthday treat in our house. 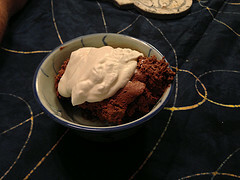 Jan has spent years perfecting the techniques of making mousse, but it took her years before she dared to tinker with mom’s recipe. This weekend is Chris’ birthday dinner, so Jan decided she would create a variation just for him. Around our house the birthday options include: cake, pie or mousse. For his birthday Chris wanted cake. So Jan found this Bundt recipe. She thought this recipe had way too much butter, but it was not her birthday. Jan uses Dagoba organic chocolate power for the cake. In Dutch processing alkaline is added to the chocolate power, so she prefers not to use it. Many Americans like their cakes really sweet. Jan and the kids think that this is just cloying. For this recipe she cut the sugar by almost half and dropped the sugar out of the glaze all together. 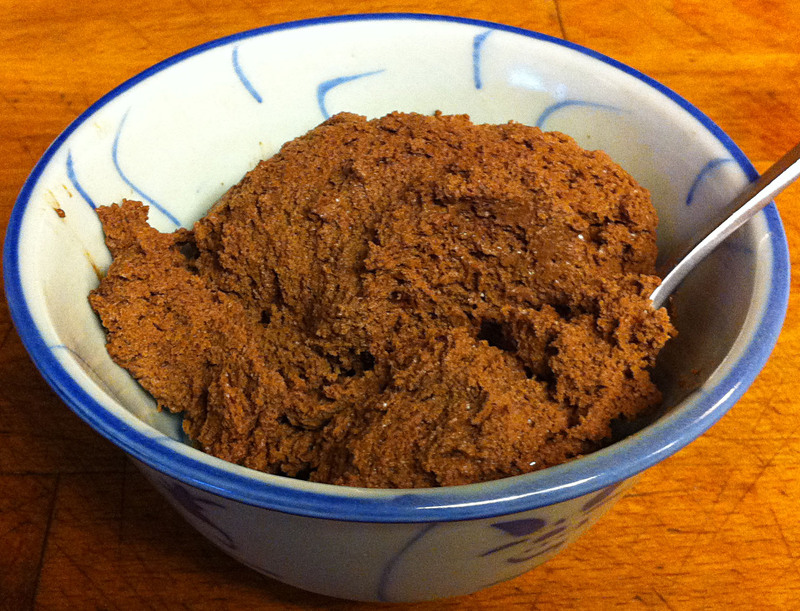 She also added a tablespoon of coffee to enhance the chocolate flavor in the cake without adding to the sweetness.